For connecting your autoguider, cameras or eyepieces it has a T2 thread and 1.25"� socket. 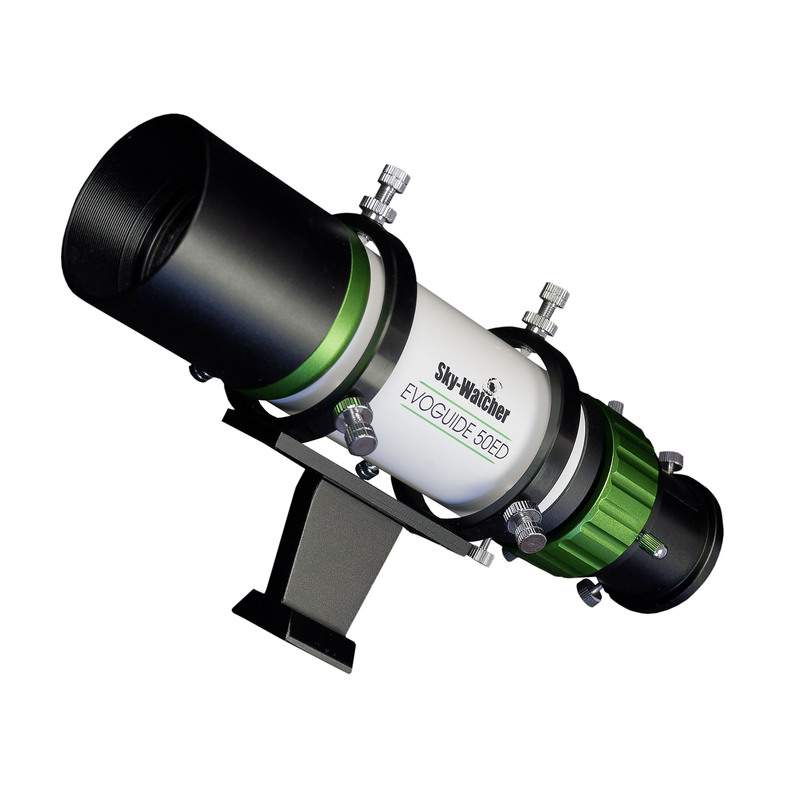 For exact adjustment to the main telescope, collimation rings are provided, each with 3 nylon-tipped screws. The guidescope bracket comes with a Sky-Watcher / Vixen style mini dovetail for standard finder shoes. The EVOGUIDE-50ED is a small, very high quality telescope which is perfect as a Guidescope, providing pinpoint sharp stars for easy and precise guiding.